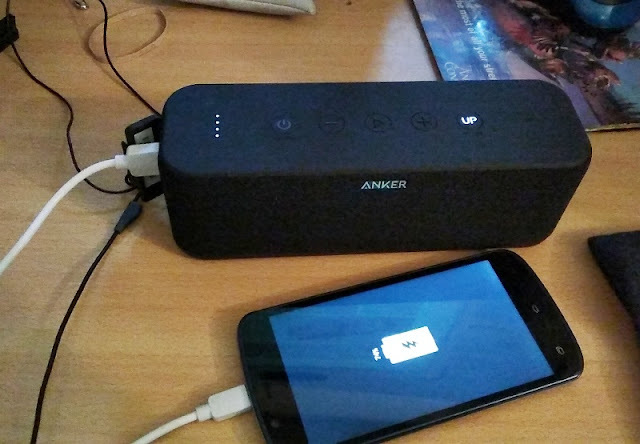 A Bluetooth speaker that also doubles as a speakerphone and a powerbank to power your gadgets is a very clever idea! 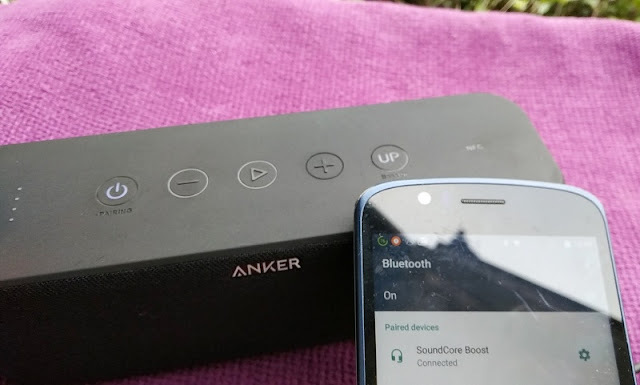 That's exactly what you get with the Anker SoundCore Boost, a 3-in-1 solution that allows you to charge your phone on the go, listen to music wirelessly via Bluetooth 4.2 connection, and broadcast the voice of the person you are talking to just like a wireless conference speakerphone. 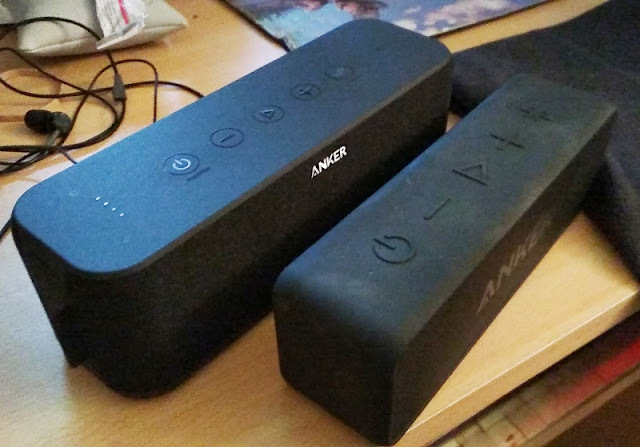 You get a massive 20-metre (66ft) Bluetooth range with direct line-of sight between your phone and the speaker and around 14 meters if walls/obstacles are on the way. 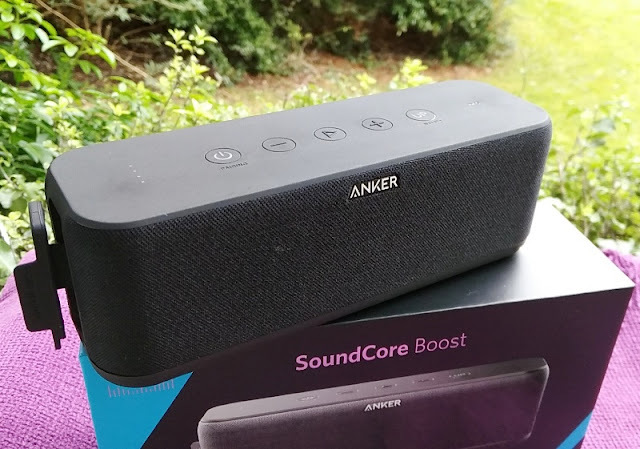 Along with a long bluetooth range, the SoundCore Boost features IPX5 water resistant protection and rubberized housing which makes the SoundCore Boost rugged and ideal for outdoor use plus it only weighs 585 grams. 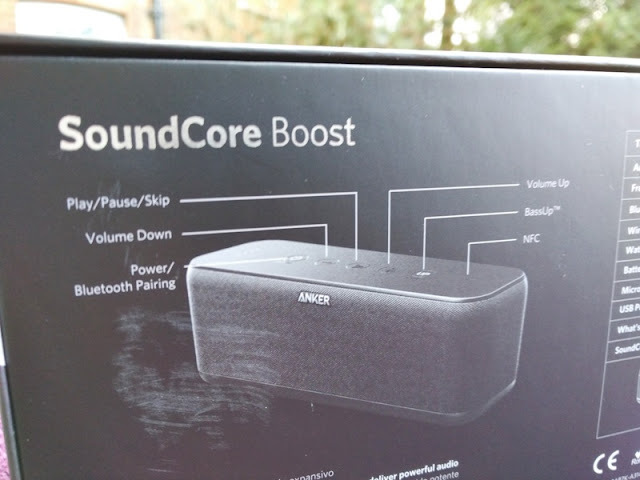 The SoundCore Boost measures 20 cm long by 7 cm wide (thick) and 6 cm high. 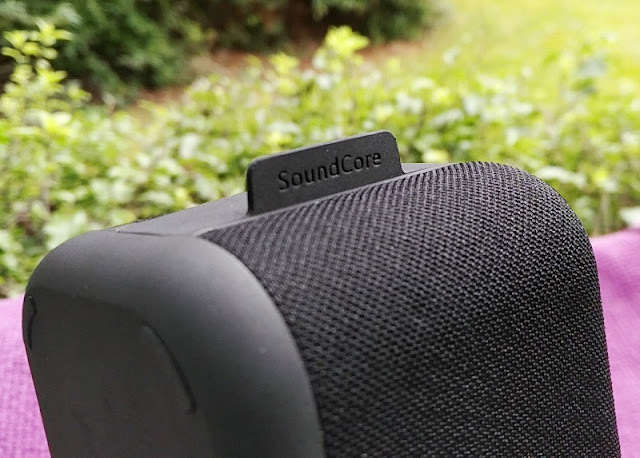 The front and back of the SoundCore Boost speaker integrates a cloth mesh to protect the speaker grill. 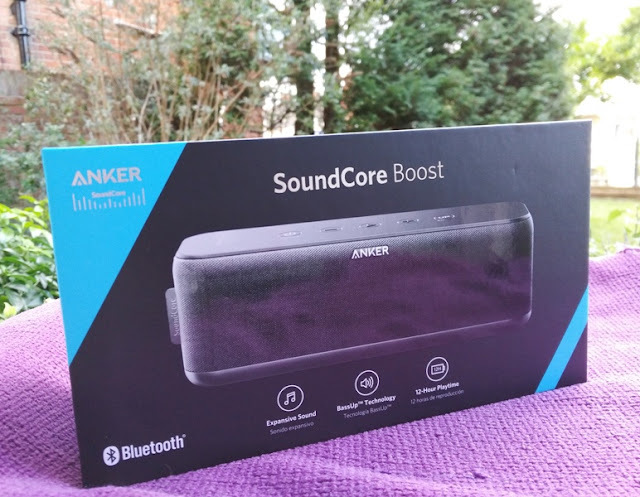 The SoundCore Boost speaker integrates two 10-watt speaker drivers and two passive subwoofers that boost the bass levels on the SoundCore Boost up to 70Hz. 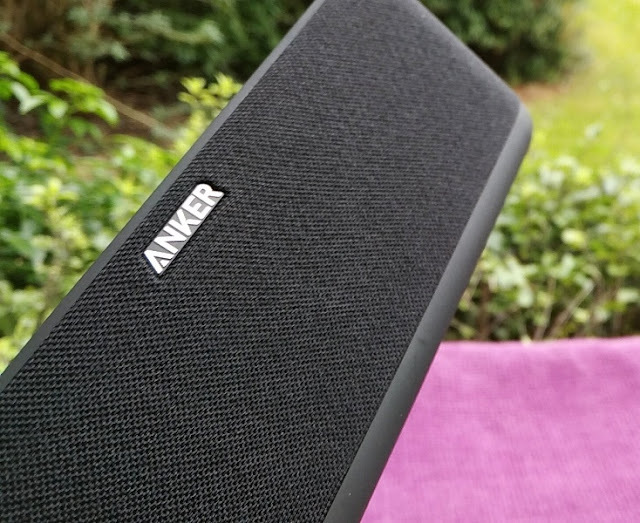 If you are looking for a bass-heavy portable speaker, the SoundCore Boost won't disappoint you. The treble frequency (20kHz) is flat sounding with clear highs. 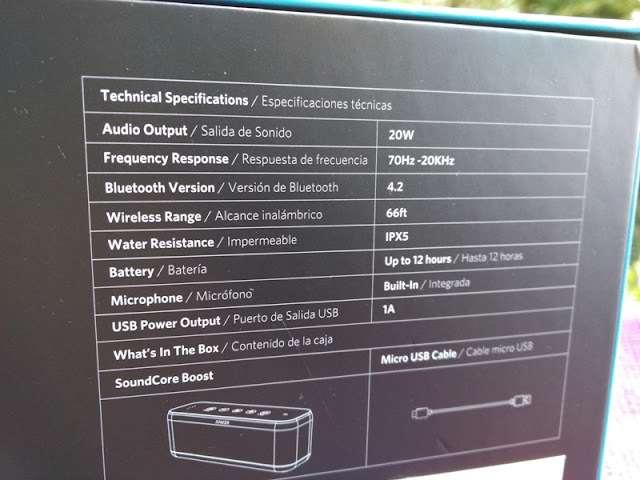 The SoundCore Boost impedance rating is remarkably low (just 4 ohms), making the SoundCore Boost easy to drive to its full potential without the need of additional amplification. 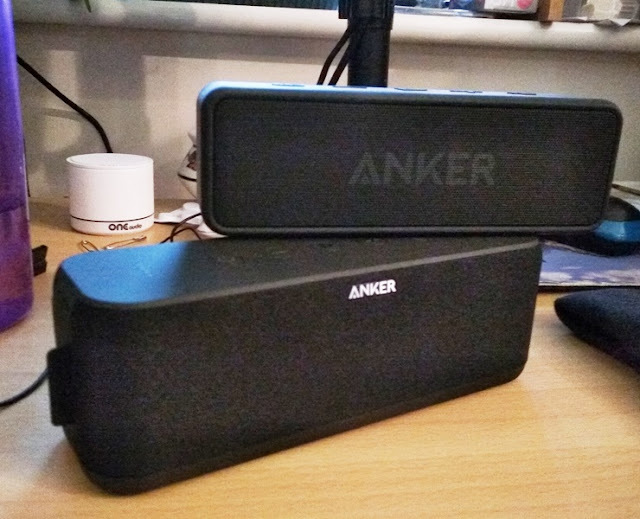 The built-in 5200mAh battery in the SoundCore Boost powers the speaker for well over 10 hours as well as power external gadgets via a USB output located next to the micro USB charging port and AUX input port that allows you to use the SoundCore Boost as a wired speaker set. 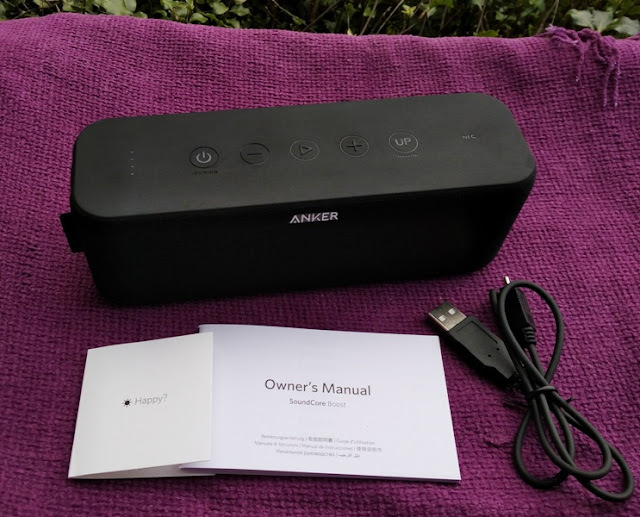 Besides being able to use the SoundCore Boost speaker as a wired speaker, you can play audio wirelessly via Bluetooth connection and NFC connection. 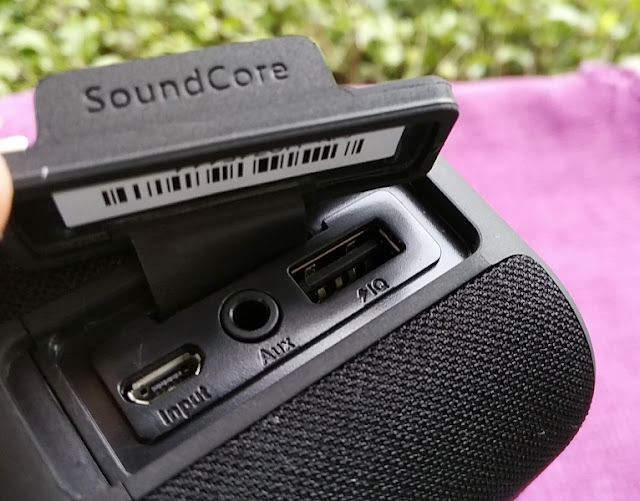 NFC connectivity is super convenient as it allows you to instantly pair the SoundCore Boost speaker without having to go to your phone's Bluetooth settings. 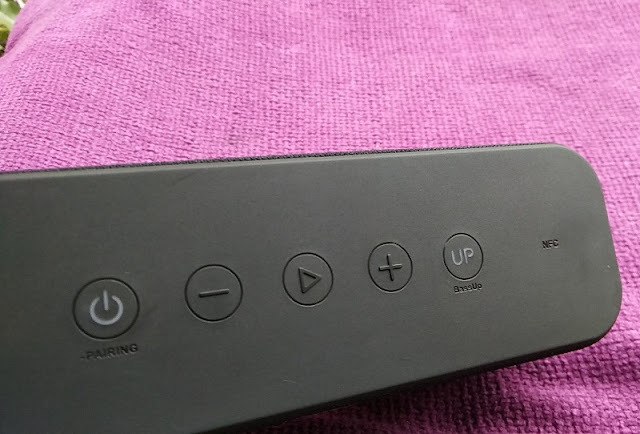 User control buttons are all located on top of the unit and consist of a power button, volume down button, play/pause button, volume up button and "UP" button for boosting the bass. 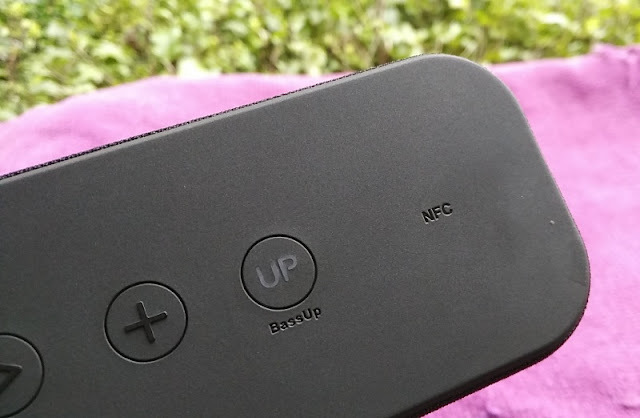 The power button also doubles as the pairing button and it's activated by holding down the power button for a few seconds. 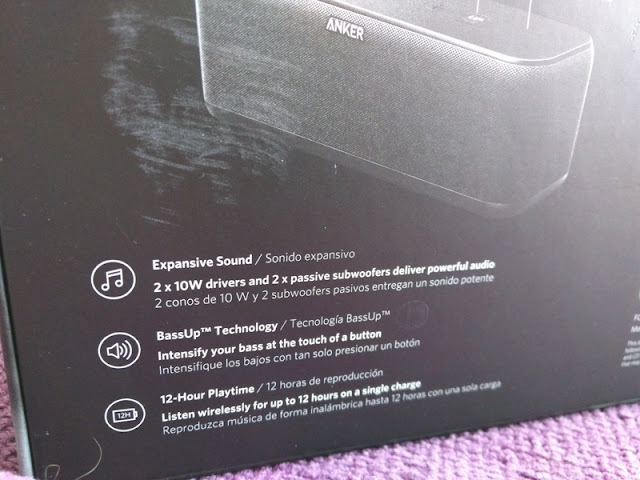 Aside from the UP bass button, all the other buttons on the Anker SoundCore Boost speaker are multifunctional like in the case of the volume buttons which allow you to skip tracks via long button presses while audio is being played. The play/pause button controls all other functions like answer/reject calls, call on hold and switch between speaking hands-free or via your phone. 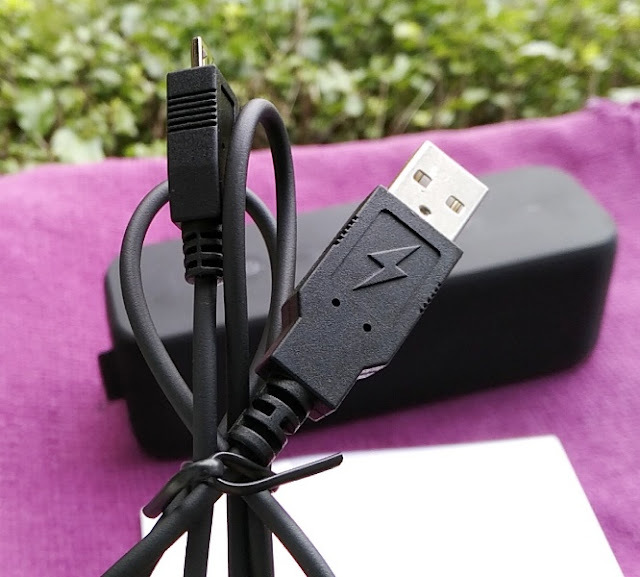 These features are also integrated in the Soundcore Motion B speaker.